At Smart Motorwerke we are committed to providing the highest quality independent Smart Car Service and repair in the San Francisco Bay Area. All work is performed to the exacting environmental and mechanical standards defined by Smart. All of our Services include a 24 Point Inspection completed by our skilled Technicians. 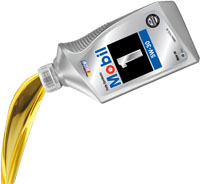 Our Services use Mobil 1 Oil and Original Equipment Parts. All Services, parts and labor, include a one(1) year Warranty (Excluding used or customer supplied parts). We have designated the Smart Car Services to follow the Service Guidelines for Mercedes-Benz. This system is called a Flex Service Guide, which is composed of A and B Services. Each Service contains minimum Services with other Maintenance at suggested Mileage.